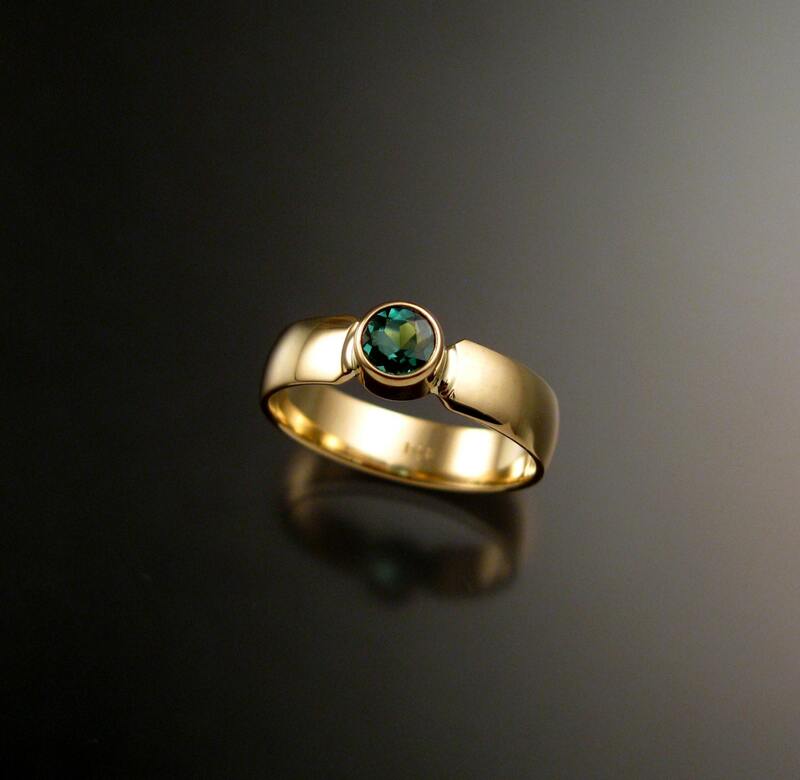 This pretty wedding ring has a low dome smooth band. 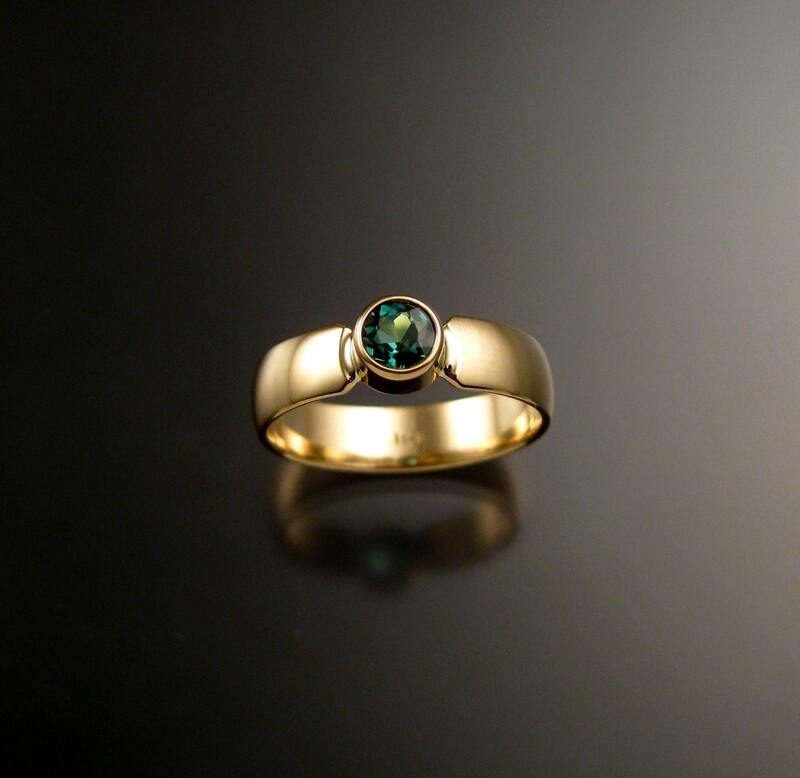 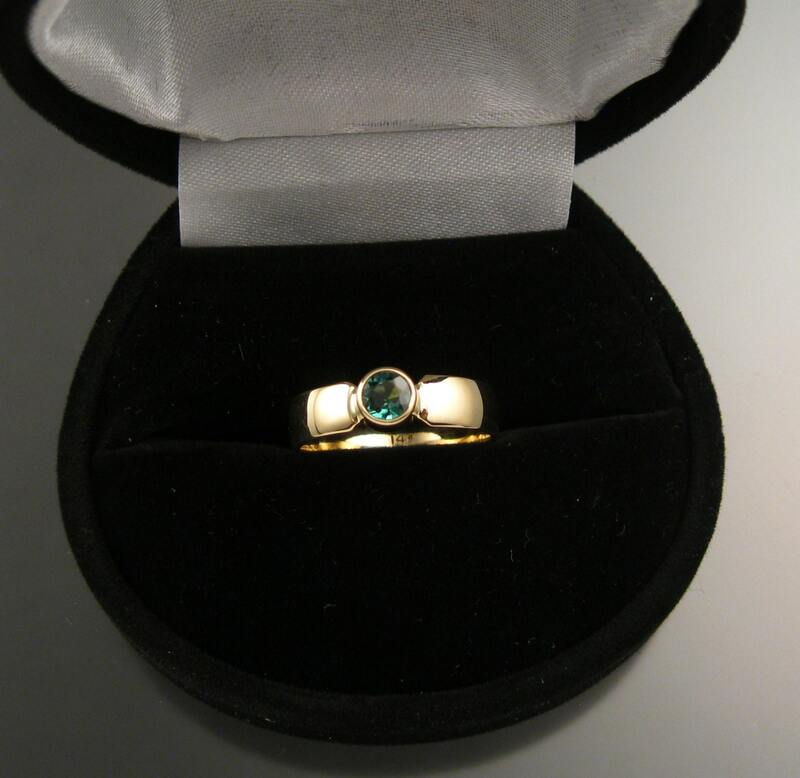 Set in 14k Yellow Gold with a 3.5mm round natural Emerald. 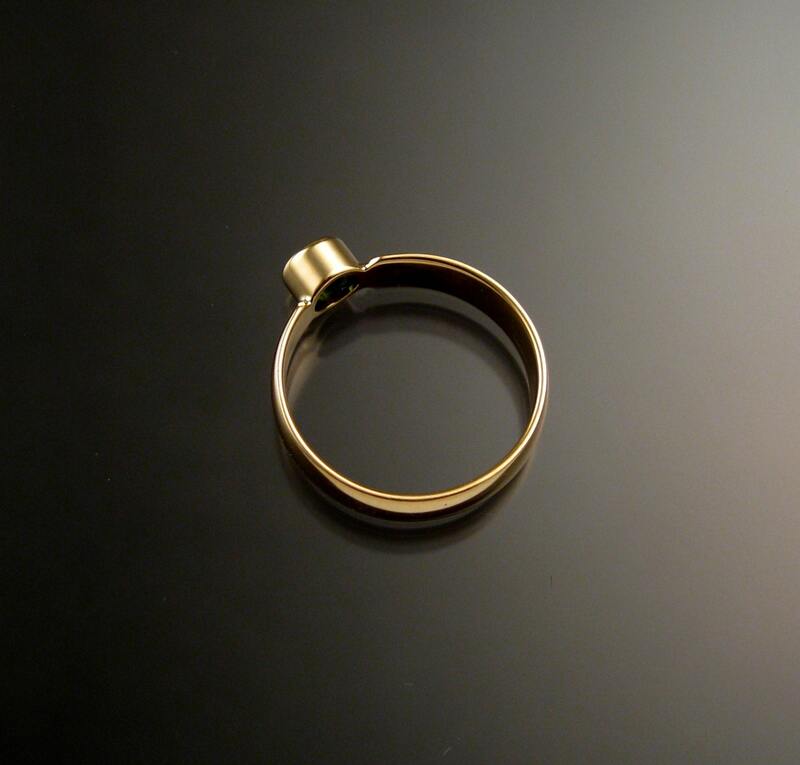 The band is 4mm wide and 1mm thick. 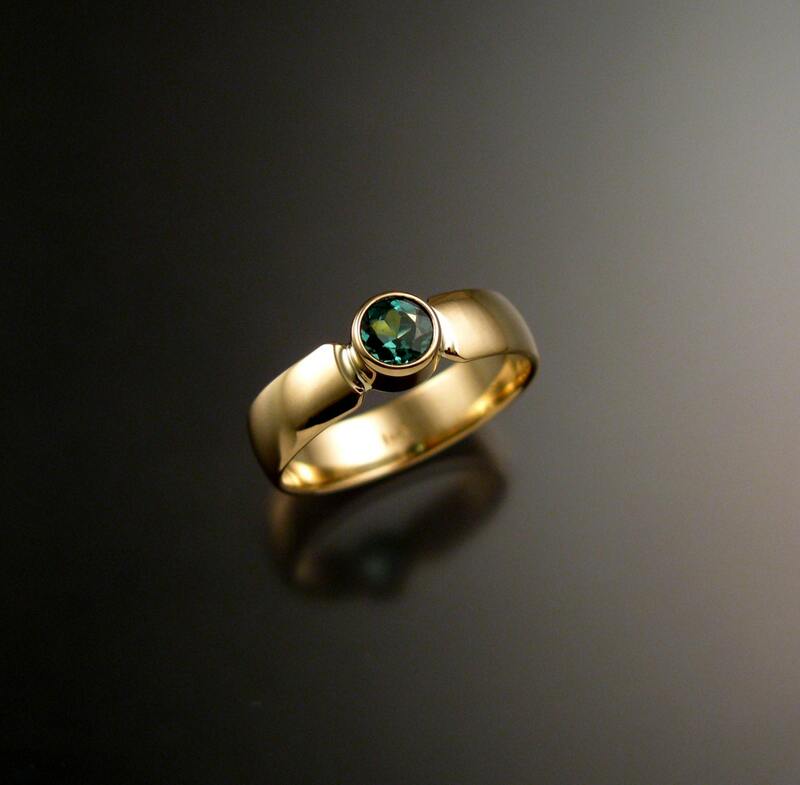 This ring can be made for you in any size between 2 and 7.